What did you think of Division Sentences ? Consider the given division sentence. Let's find the missing number. 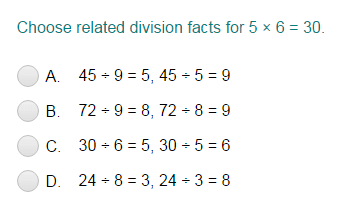 Using division facts, identify the number with which 40 can be divided to get 8 as a result. So, the missing number is 5.